Step into the enchanted world of Disney's Beauty and the Beast. 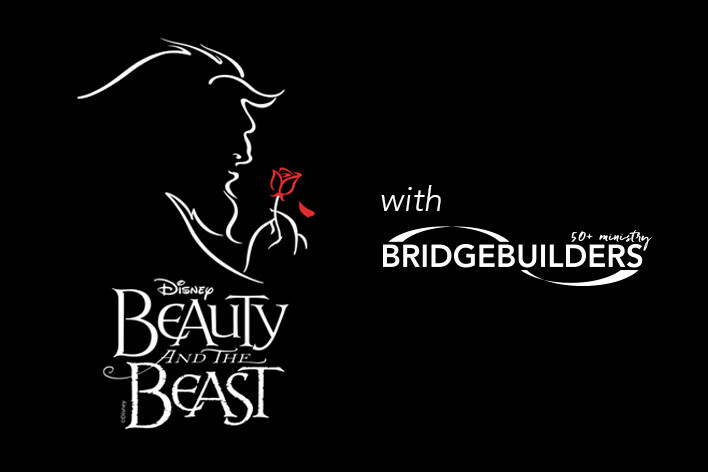 See the classic fairytale come to life onstage at William Jessup Univsersity featuring your favorite characters and songs including "Be Our Guest", "Gaston" and the title song "Beauty and the Beast". Bridgebuilders will be attending Friday, Nov. 9th @ 8:00pm – to not overlap with any Bridgeway weekend services – however you may purchase tickets for other days if you so choose and you may want to bring the whole family to this event. Come an hour before the show and experience Jessup Theatre's Living Dickens Village filled with goodies, hot apple cider, hot cocoa, caroling, interactive Dickens characters, Christmas shopping and more! Entry to the Living Dickens Village is free with the purchase of a ticket to the show. Aspects of the pre-show are specifically designed for children including Belle's Boutique and other interactive activities. Dressing like their favorite fairytale character is welcomed and encouraged. Buy your tickets today at jessup.edu/beauty, and use the code 25GROUP at checkout for a $5 discount. Tickets will also be available at full price at the door. Print your ticket and be sure to arrive early, doors open one hour before the show and seating is first come first serve. Bring something to save your seat so you can enjoy visiting the Dickens Village. Buy your tickets today or contact us if you have any questions!